A well-furnished warrior grave in the Viking age town of Birka, Sweden, has been found to contain female bones. So, a female Viking warrior. And not just any warrior, but a senior one: she was buried alongside a sword, an axe, a spear, armour-piercing arrows, a battle knife, two shields and two horses. Gaming pieces – perhaps from hnefatafl, a sort of precursor to chess – suggest the female warrior from grave Bj581 was a battle strategist. Was she unique, or were the Viking ranks full of women? 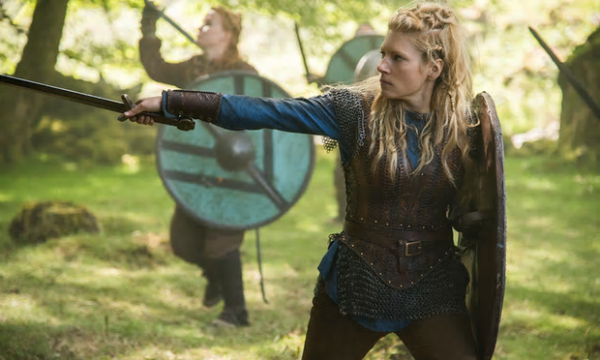 The female Viking warrior is a familiar figure in popular culture, from early incarnations such as the Völsung cycle of Norse mythology through to the History Channel’s Vikings series. Valkyrie amulets have been found depicting women wearing dresses and armour. But historical fact has largely lagged behind the fictions. The bones from grave Bj581 always looked female – they were slender – making it a so-called “anomalous” grave where the gender of the skeleton appeared at odds with the martial objects buried with it. It took many years and, finally, genomic testing to establish the lack of a Y chromosome. But some experts still express doubts about the warrior’s identity. Might the gaming pieces indicate only that she enjoyed board games? Were the bones – excavated and labelled in the 19th century – put with the wrong weapons? Or do these questions prove that we recreate the past in the light of our own prejudice? “Before we knew it was a woman, it was interpreted as a warrior grave. Nothing in the archaeology has changed – only the gender. I do believe she was a warrior,” says Charlotte Hedenstierna-Jonson, the archaeologist at Uppsala University who led the research. So how many more warrior bones have been presumed male that might be female? In Poland, “archaeology is really getting to grips with a number of anomalous graves”, according to Carolyne Larrington, professor of medieval European literature at Oxford University. There are thought to be further anomalies in Norway and Sweden.